India is back! With the country's general elections in 2014 resulting in a government formed by a new political party, the Bharatiya Janata Party, led by a business-friendly prime minister, Narendra Kumar Modi, the world's largest democracy is once again on the minds of business leaders the world over. The renewal of interest in India is all the greater because of what's happening in neighboring China. For over thirty years, China was the growth engine for many Western multinational companies, but the combination of a slowing economy, rising wages, and increasing political risk has most companies looking for the next China. No other country is better positioned to play that role than India. In the short term, though, India will remain a challenging market, with a well-deserved reputation for corruption, uncertainty, and stultifying bureaucracy. Those hurdles are unlikely to go away soon. Yet India may be on the verge of unprecedented growth. Can you afford to wait or should you plunge into this complex market today? What does it really take to win there? How do executives deal with India's volatility, uncertainty, and intense competition--and even prosper from it? Ravi Venkatesan, the former Chairman of Microsoft India and Cummins India, offers expert advice on how your company can overcome the unique challenges of the Indian market. He argues that India is in fact an archetype for most developing nations, many of which present similar challenges. Succeeding in India is important not just because it is a big market but also because it is a litmus test for your corporation's ability to succeed in other emerging markets. If you can win in India, you should be able to win anywhere. Hard as these frontier markets are, Venkatesan argues, the bigger hurdle may well be the internal culture and mind-set at a multinational's headquarters. The unwillingness to make a long-term commitment or to adequately trust local leadership, combined with the propensity to rigidly replicate the products, business models, and operating systems that have worked at home, drives many companies into a "midway trap." That often results in India remaining an irrelevantly small contributor to the company's global growth and profits. Combining personal experience and in-depth interviews with CEOs and senior leaders at dozens of companies--including Microsoft, GE, JCB, Dell, Honeywell, Volvo, Bosch, Deere, Unilever, and Nestle--Venkatesan shows you how to tackle political changes, policy uncertainty, and corruption and thrive in India. He proves that you can break through, but it takes a very different type of leadership, both locally and at corporate headquarters. If you want to succeed in the twenty-first century, you must succeed in emerging markets. 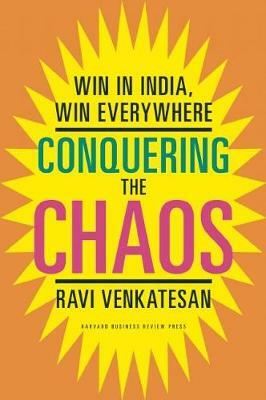 This practical book, written by one of India's most respected CEOs, gives you the keys to win in India, other emerging markets, and, indeed, globally.